A metre matters (minimum passing distance) laws are one step closer to becoming law in Victoria, with the Road Safety Road Rules 2009 (Overtaking Bicycles) Bill 2015 being brought on for debate by the Greens and passed by the Victorian Legislative Council this afternoon. 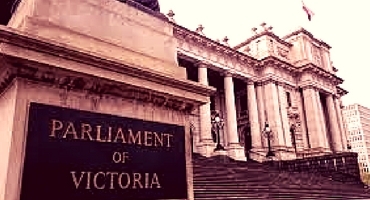 The Amy Gillett Foundation welcomes this development which saw the Coalition supporting this important Bill through the upper house of the Victorian parliament. It will now be a matter for the Andrews Government to determine whether this Bill becomes law in Victoria, after today voting against the Bill. “We are delighted by the passage of the a metre matters Bill through the Victorian Legislative Council, and hope that Victorian’s won’t have to wait too much longer for this important cycling safety measure to become law”, said Phoebe Dunn, CEO of the Amy Gillett Foundation. Earlier this year the Andrews Government did not support the recommendation of the Parliamentary Inquiry to pass a metre matters laws in Victoria, instead opting for a year-long education campaign. Victoria is now the only state in Australia that does not have a metre matters laws in place permanently, in trial or on pledge, after the newly elected Western Australian government recently committed to a trial. The backing of the a metre matters Bill by the Victorian Coalition demonstrates the wide support for safer cycling laws and follows last year’s Parliamentary Inquiry recommending this become law in Victoria. Recent research commissioned by the Amy Gillett Foundation shows that Victorians are overwhelmingly in favour, with 9 out of 10 supporting the law. The Amy Gillett Foundation will continue to pursue passage of this important road safety law in Victoria. In the meantime, we are working with the Andrews Government to ensure the education campaign is as effective as it can be in the absence of legislation.